Filmora video editor, available in both windows and MAC, is the best definition of simplicity. It is a solid product for beginners according to various Filmora reviews online. Professionals can also find it resourceful. Starting the video, you will get two options, the easy mode and the full feature mode. The easy mode presents splendid editing features for beginners who just need to do a simple decent video for the purpose of posting on social media, while the full feature mode has all the features a professional may need to edit a standard video. The video formats that the software supports are WMV, MP4, AVI, MOV, FLV, MKV, TS, 3GP, MPEG-2 and WEBM. Read on to learn some of the features that give this video editor an edge over other similar software. After launching Filmora, you will need to choose an editing mode to get started. This could be the easy or full feature mode. The Easy Mode allows you simple import video clips or photos as well as add music and theme. On the other hand, the Full Feature Mode has fully-customizable professional editing features. You can choose your desired aspect ratio option for your video. The ratios options are: widescreen, standard, square and portrait. After choosing a mode you would need to import the clip. You could also record PC screen, voice over, or record a video with your computer’s webcam. Arrange the clip in order of appearance, and you are ready to start editing. You can add sample color, split video clip, join video, copy and paste video, and do more. After working on a particular mode, you will have to click the export bottom before using another mode; otherwise the project in progress will be completely lost. Wondershare Filmora does not require much technical knowledge in video editing. Aside from the user guide provided, the interface speaks exactly the message it carries. This software is easy for anyone who wishes to learn the video editing ropes as its interface is one of the easiest to learn of all the video editing software available so far. All features are available on the main page of the interface, and in a few minutes, one can easily navigate and understand how to use Filmora. The right-hand quarter of the screen shows a preview of what’s being edited and on the left side is a media browser that help searches for imported clips, music, sound effects and more. As already been mentioned, launching this program gives you two basic options namely the easy mode and the full feature mode. And just as the name suggests, the easy mode enables you to perform editing functions quickly and easily and is preferred when you do not necessarily require any technical details in the video clip. A pop-up screen will greet you upon opening the program and the screen basically presents the 4 different aspects we have mentioned above. Choose your desired aspect ratio before getting started and you will notice that the user-friendly interface makes everything else appear more or less like a breeze. With Filmora video editor, you can do everything you need in video editing as it has over 300 virtual effects including Split Screen. The following are just some of the other features it boasts of. this enables you to simultaneously place more than one video clips on the screen. This is also known as picture in picture PIP. Filmora allows up to 10 clips at a time. you can apply a sound effect on your video. You can also fade in or out the sound effect, and adjust its speed. The action cam module gives you the ability to edit beautiful, and high-definition footage produced by the camera. 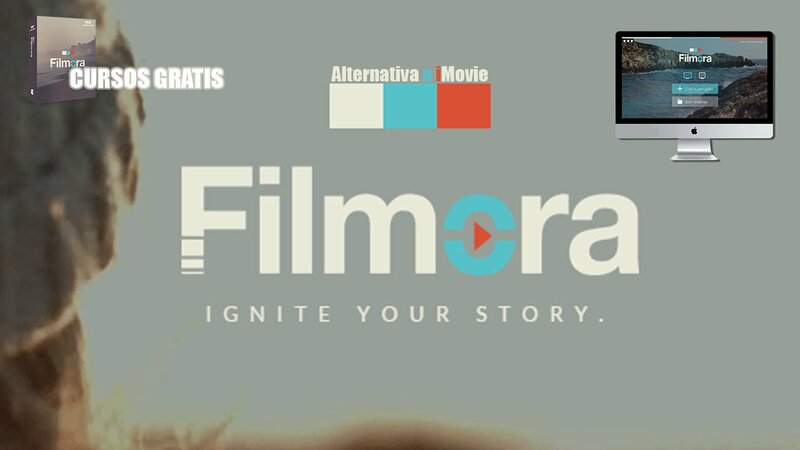 Filmora allows users to create video with multiple clips and footage simultaneously using the split screen feature. A user can select the split screen icon, and choose the number of screens. The software is also one of the easiest to install. All you have to do is search for the software name and then head to the actual page that contains the installation link based on the search results that turn up. Be sure to read the terms and conditions before installing the software. Perhaps the only drawback when it comes to this is the length of time but once the software is installed, you are not expected to encounter any further challenges with using it in your system. There is a free trial version for users without limits but only lets you export footage 10 times and adds a Filmora watermark on your exported video. Filmora video editor for a 1-year license costs $39.99 for windows and $44.99 for MAC. However, they have given a better offer for a lifetime license at $59.99 for personal use, and $119.99 for business purpose. Filmora also offers 60% for Students and Teachers. One of the best prices in the market for video editing software. Suitable for both beginners and professionals. If you are considering editing a video with a simple software without all the technically and complications, Filmora will do a good job with all its amazing and easy to learn features. But it lacks more advanced and modern features you find in more established software live IMovie. All in all, it is a good solution able to meet the goals of all individuals and businesses. Before choosing Filmora, be sure that you’re aware of your requirements so that you can understand if your choice matches those very needs.